Welcome, and thank you for visiting Shima Healing. SHIMA means ‘Island’ in Japanese, ‘Love’ in Sanskrit and ‘Mother’ in Navajo, Native American. The Shima Healing Institute is a training centre of traditional healing arts on the beautiful and enchanting island of Koh Yao Noi, southern Thailand. The instruction at Shima Healing is focused on imparting unadulterated ancient practices, and empowering students to cultivate and embody the true essence of healing. The path of a healer is a lifelong one. Completing a course at Shima is only the start of a rewarding journey of dedication and commitment to living in authenticity. The key modalities available at Shima Healing are Tibetan Singing Bowl Therapy, Reiki, and Flow in Stillness. All programs are built upon these foundations of healing. Shima's Vision is to be a beacon of excellence in the spiritual development of individuals and communities. 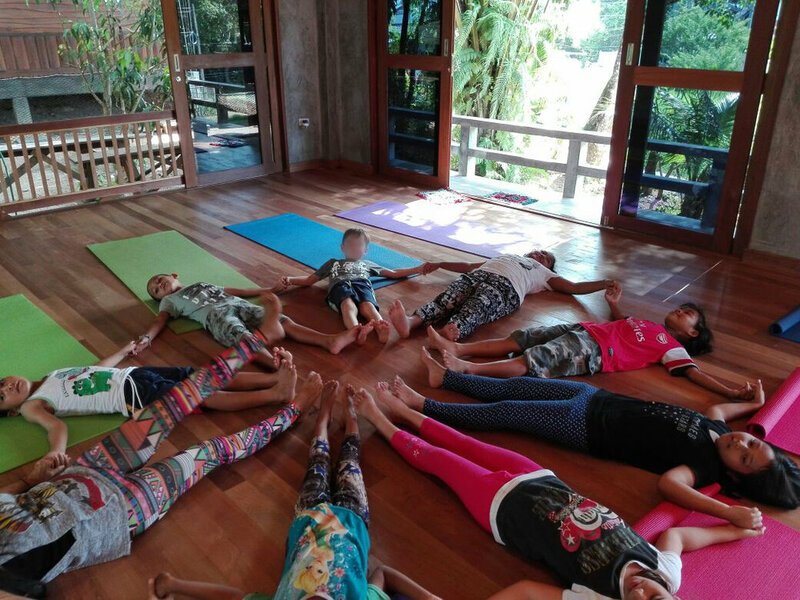 ...to be custodians to an uplifting space that promotes healing and balancing for self-care and cultivating mindfulness through the mediums of sound, energy and Yoga. ...to guide individuals on a path of becoming professional healers and therapists. 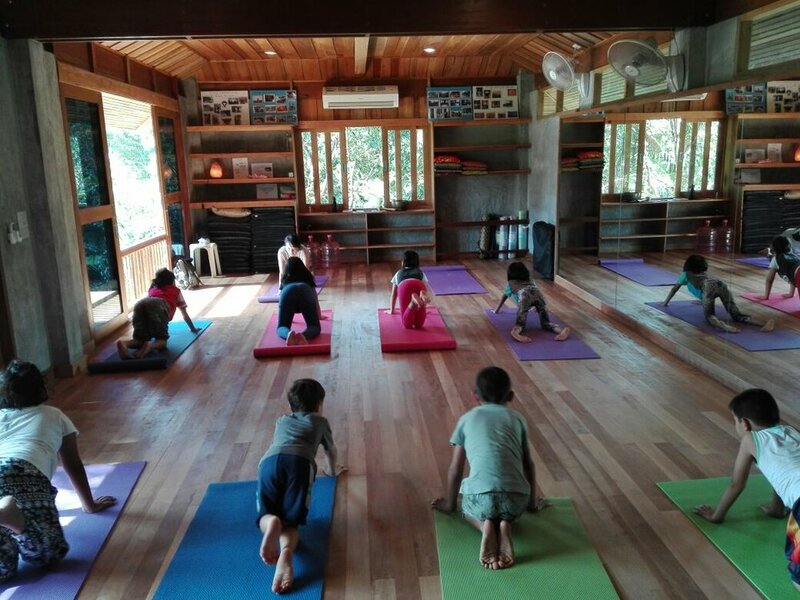 ...to provide a platform for training and mastery through the practice of service at Shima Healing through the Little Elephant Project, and at our affiliated centres in ASEAN countries. 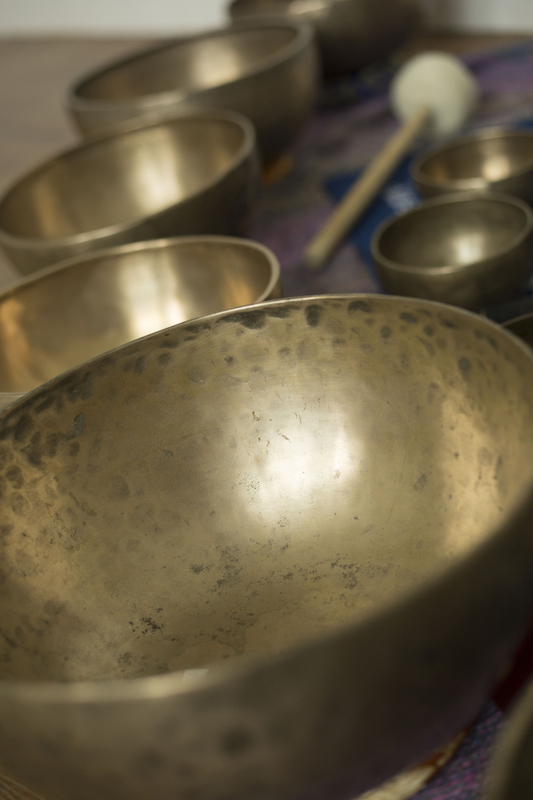 The power of the sound healing using ancient Tibetan Singing Bowls is indescribably profound and alters our consciousness for positive transformation. Unique harmonic waves gently and deeply penetrate the body on a cellular level to heal on multiple planes which helps to ease physical pain, and opens the energetic bodies for reorganisation and rebalancing. Shima Healing is part of a lineage from Nepal that follows an ancient style of Tibetan Singing Bowl therapy, where the Nepali Masters continue to instruct according to aural tradition. Rei means "Universal Wisdom or the Higher Power" and Ki means "life force energy". Simply put, Reiki is "spiritually guided universal life force energy" and is available in our living environment to anyone. It is a hands-on natural healing system that restores our physical, mental and emotional into their original state of perfect balance. While Reiki is spiritual in nature, it is not a religion. There is nothing one must believe in order to learn and use Reiki. Anyone can be a conduit of Reiki energy. The only principle is that it is important to live and act in a way that promotes harmony with others. Flow in Stillness™ is a practice unique to Shima Healing that cultivates mindfulness through movement. It integrates Yoga, Tai-Chi and meditation to allow one to let go from a deep place within. True stillness, is a sense of inner bliss and peace anytime and anywhere, regardless of which activities we are undertaking. Flow in Stillness™ is an integral part of the Shima Healer Within program. Practitioner students are also encouraged to include this extraordinary self-care modality into their daily practice. Akiko Igarashi is a distinguished teacher of healing. She is a Reiki Instructor, a Qigong practitioner, a Yoga teacher, and a Tibetan Singing Bowl Master. Above all else, Akiko is a dedicated student of life. Her practice of inner stillness and focus began at a young age. Born in Hokkaido, Japan, she was raised in the Eastern tradition of mindful living and the knowing of the interconnectedness of all beings in our existence. For many years, Akiko chose a corporate life path, yet the practice of cultivating inner wisdom was never far from her heart, or her mind. Akiko walked the pilgrimage route of Camino de Santiago Compostela three times, volunteered in orphanages, and studied healing with teachers in far-off places of Nepal, India and Japan. Through her own journeys, Akiko embodies the understanding that to heal others we must heal ourselves first. This healing of the self comes from a willingness to see, feel and listen to the messages within. And from that point of bliss, greater joy is experienced by giving, and receiving in return. This is the gift Akiko wishes to share with the world through the Shima Healing Institute and its associated projects. Akiko can be found at the Shima Healing Institute in Thailand facilitating courses, or conducting workshops in Asian countries and Europe in the summer. When she is not teaching, practicing or traveling, Akiko is rock climbing, composing children’s science fantasy literature, writing calligraphy works, and creating new projects that uplifts communities. And of course, she makes sure there is always time to just do nothing, and be. Amanda Ling Amanda Ling is a gifted musician and DJ who specialises in producing sounds for healing. 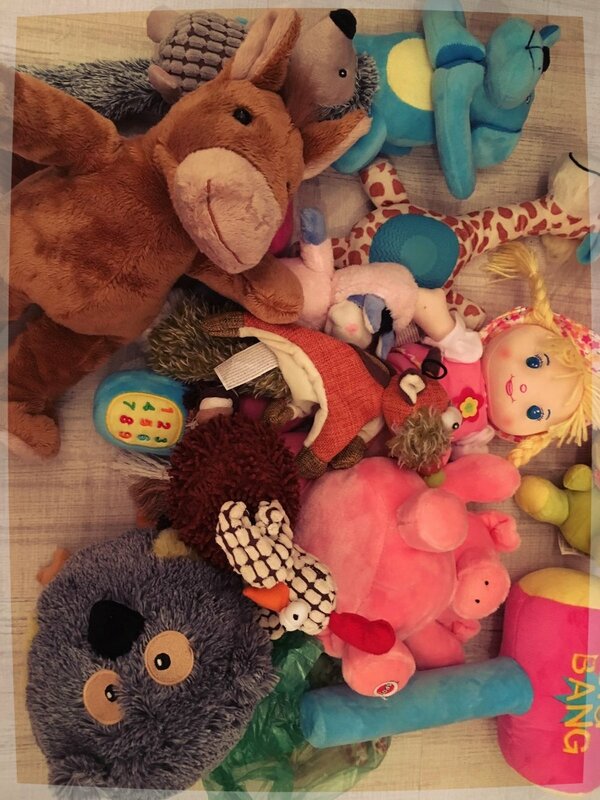 She is also a music educator and a Consultant-in-Training in tidying in the KonMari Method™. Additionally, Amanda is an Ancient Singing Bowl practitioner and an apprentice at Shima Healing. A true embodiment of the heart of Shima Healing, Amanda is dedicated to bringing authentic healing traditions to the modern world. 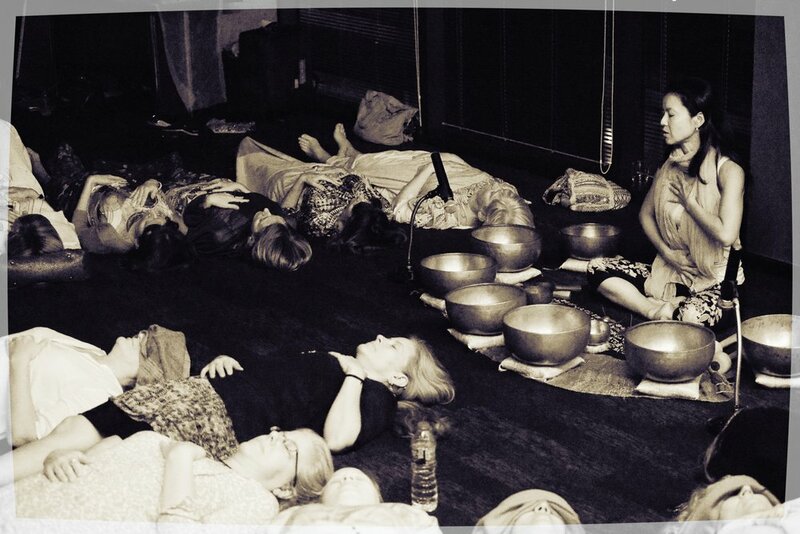 She has worked closely with Akiko to hone her knowledge and skills of sound healing. Even though this journey of apprenticeship was unplanned, Amanda grew and developed as a healer and an individual in ways she never dreamt of. She is committed to supporting and guiding in compassion, all individuals who come through Shima Healing for learning, or for healing. Along with Akiko, Amanda co-facilitates workshops mainly in Singapore. As a practitioner, Amanda shares her dedication through the art of Ancient singing bowls and personal development programs. She wishes to empower all she touches to live their best life, through alignment of their Body, Mind, and Spirit. Amanda currently resides in Singapore. Two of the central pillars at Shima Healing are service and community. The activities and services offered at our Dojo and by our global partners are true to these pillars. It is our belief that by giving, we receive. And by receiving, one is gifting the giver the opportunity to share his or her inner light. We are honoured and humbled to have the opportunity to work with every single one of you and with our communities. The Shima Giving initiative is an embracive global programme where local and global partners work hand-in-hand to uplift individuals who are seeking to grow and thrive. This is an extension of Akiko’s personal work with the orphanages in Nepal which began more than a decade ago. The key activity at the Shima Dojo is the Little Elephant Project. Ani Art Academies: This is a non-profit organization which provides intensive multi-year art education to aspiring artists. It is wholly funded by Ani Villas, a luxury resort on Koh Yao Noi. 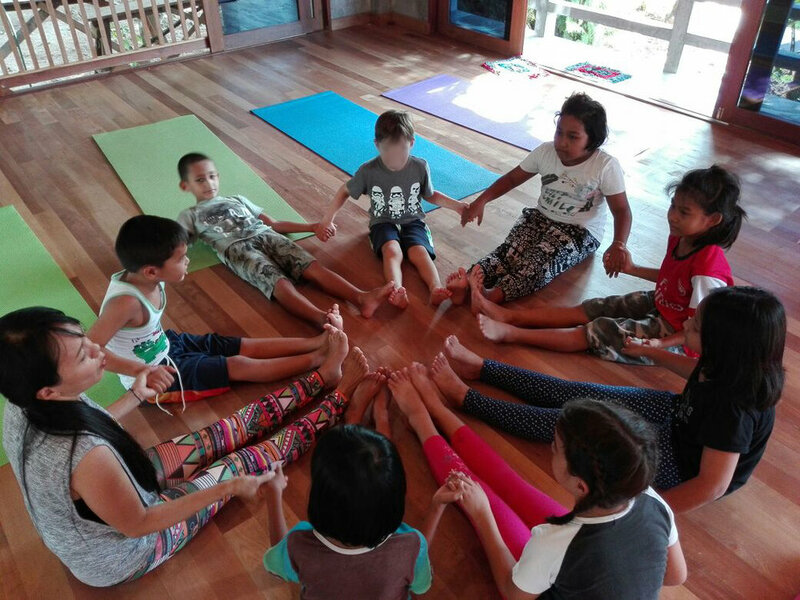 Shima Healing, through LEP, and Ani Villas collaborated in raising funds for the 2017 Children’s Day which were used to purchase toys for children in need and also fixing school facilities (since 2017). Hold The Space: In collaboration with Hold The Space from South Africa, Shima Healing offers a series of Tibetan Singing Bowl concerts to raise funds for orphanages on Phuket (since 2018). Over The Rainbow: This is a project that promotes mental wellness for youth. Shima Healing and its students are regular volunteers at this project, offering free Tibetan Singing Bowl concerts to assist to raise funds (since 2013). Universe of Sound Festival: The UoS Festival is a nonprofit event starting in 2018, conceptualized to allow participants to experience the transformative effects of sound and music at the deepest level and facilitate the understanding of sound as a healing and wellness-inducing modality. Festival du feminin®: Shima Healing presented Singing Bowl concerts at these empowering and transformational workshops and gatherings for women by women (BKK, Singapore, Hong Kong and Kuala Lumpur since 2017).